2.1. Any quotation is given on the basis that no contract will come into existence until the Seller dispatches an acknowledgement of order to the Buyer or the Buyer signs one of the Seller’s official order forms. 2.3. To ensure the best price possible some vans may be pre-registered, unused with delivery mileage, Prices shown do not include a first reg fee (if applicable) of £55, road fund license or metallic paint (if applicable). 2.4. Finance is subject to status, written quotations available upon request. Finance lease figures are based on a £1500 plus vat down payment followed by 60 monthly payments plus vat with no balloon payment. HP figures are based on a Vat, RFL & 10% deposit . Followed by 60 payment based on a flat rate of 4.5%. 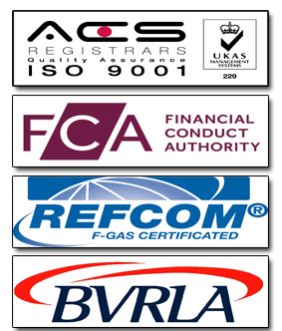 A finance arrangement fee may be charged by the finance company. 2.5. All images are used for illustration purposes only. All trademarks and logos remain property of the original owners and are only used to promote their own products. 3.2. Where the Contract is for more than one Vehicle the Seller may make delivery by installments. Delivery will be made by the Seller’s delivery facility and the contract price is calculated on that basis. 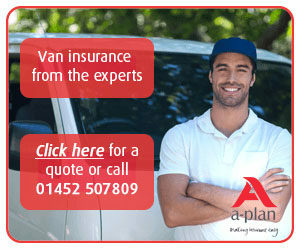 No claim for damage or shortages will be considered unless the Seller is advised in writing within 7 days of delivery. 4.2. The seller and buyer will comply with the terms of any express guarantee or warranty given by the manufacturer of the Vehicle. Any such guarantee or warranty shall not affect the statutory rights of a consumer. 4.3. The seller and buyer will comply with the terms of any express guarantee or warranty given by the manufacturer of the Vehicle. Any such guarantee or warranty shall not affect the statutory rights of a consumer. 4.5. Warranty given by the Vantastec Limited refrigerated panel lining only. Comes with a life time warranty. If and when the original purchases sells the vehicle the warranty is non transferable and void. Meaning lifetime warranty is only warranted with only the original vehicle buyer. 4.4.2. When the Buyer deals as a consumer (as defined in section 12 of the Unfair Contract Terms Act 1977), any implied term relating to the conformity of the vehicle with its description or sample or to its quality or fitness for a particular purpose. 7.2. With the exception of used cars all prices are exclusive of VAT unless expressly stated otherwise. 8.2. Interest at an annual rate of 7% above Barclays Bank Plc Base Rate from time to time will accrue daily and be calculated on a daily basis on overdue amounts from the date of invoice until payment. 9.1. If the buyer cancels, extends or delays or purports to cancel, extend or delay the contract or part thereof, or fails to take delivery of any vehicle at the time agreed (if any) or if no time is agreed within a reasonable time, then the Buyer will be liable (without prejudice to any other rights of the Seller to claim damages) to indemnify the Seller against any resulting loss, damage or expenses incurred by the Seller in connection with the supply or non-supply of the Vehicle including the cost of any materials, equipments used or intended to be used thereof and the cost of labour and other overheads including a percentage in respect of profit. 9.3. In the event of cancellation of this contract for any reason, any agreement by the Seller to take an Exchange Vehicle shall also be cancelled unless the Exchange Vehicle has been sold by the Seller when the price obtained by such sale shall be paid to the Buyer (less the selling and repair expenses of the Seller). 18.1. Any Manufacturers Warranty supplied with a vehicle is still subject to the manufacturer’s terms & conditions and must conform to the recommended service intervals detailed in the service information otherwise this may invalidate any warranty. 18.2. All Temperature controlling equipment supplied by Vantastec comes with the manufactures warranty as stated in their terms and conditions. Warranty terms strictly identify that the equipment must be serviced in conjunction with the manufactures recommendations (usually within first four months after installation). If the equipment does not receive its recommended service the warranty will be invalidated. The Seller offers servicing support and servicing planning to all equipment installed and all Buyers are strongly advised to take out a service package. 18.3. All used vehicles are supplied as standard with a 28 day warranty. Vantastec can offer an additional 12 month AA breakdown cover & repair on all used vehicles, which can be added onto any advertised price. If this product is not taken up Vantastec can not be held responsible for any breakdown or malfunctions after the initial 28 day warranty period has expired. 18.4. All new equipment is covered by the manufacturer’s T&C’s, Vantastec cannot be responsible for any loss of equipment or business. 19.1. The Seller will be entitled to assign sub-contract or sub-let the contract or any part thereof. 19.2. Failure by the Seller to enforce any of the Contract Terms will not be construed as a waiver of any of its rights hereunder. 19.3. The legal construction of these clauses shall not be affected by their headings which are for the convenience of reference only. 19.4. Any notice served hereunder may be served personally or left at the last known address of the Buyer or may be sent by pre paid post to such an address in which case the same shall be deemed to have been received within two days following that on which it was posted. 19.5. In relation to all obligations of the Buyer under the contract time of performance is of the essence.